Assemble to give an automotive lamp. To produce an automotive lamp complete with bulbs and lenses. G&G Engineering's goal is to supply its customers with complete assemblies leveraging its core strengths in toolmaking, injection moulding, metal pressing and automation. The continuous development and synergy of these in-house core strengths allows G&G to compete successfully on cost and quality in the most demanding of markets. G&G supplements its in-house core capabilities through partner relationships built up over many years with companies in Europe and Asia. As well as its manufacturing facility in Killala, Ireland, it also maintains a permanent office in Shenzhen, China. G&G Engineering has extensive experience in project managing suites of tooling through its Shenzhen office in China. G&G Engineering builds sub assemblies for Tier 1 automotive suppliers from metal stampings and injection moulded components manufactured in-house. 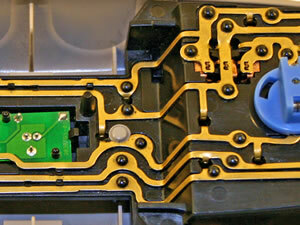 The most efficient way to reduce piece part cost is to take account of manufacturing during the initial design stage. 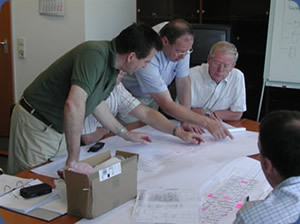 G&G Engineering works with designers to ensure parts are optimised for production. Sourcing the right quality material is vital to ensure PPM quality targets are attained in metal stampings. 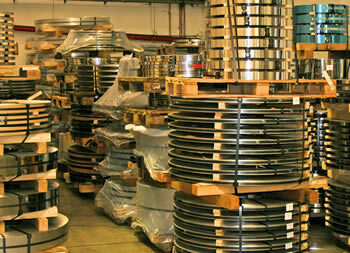 G&G has build up relationships with material suppliers over more than 30 years.